»5th Grade»It’s The Most Wonderful Time Of The Year! 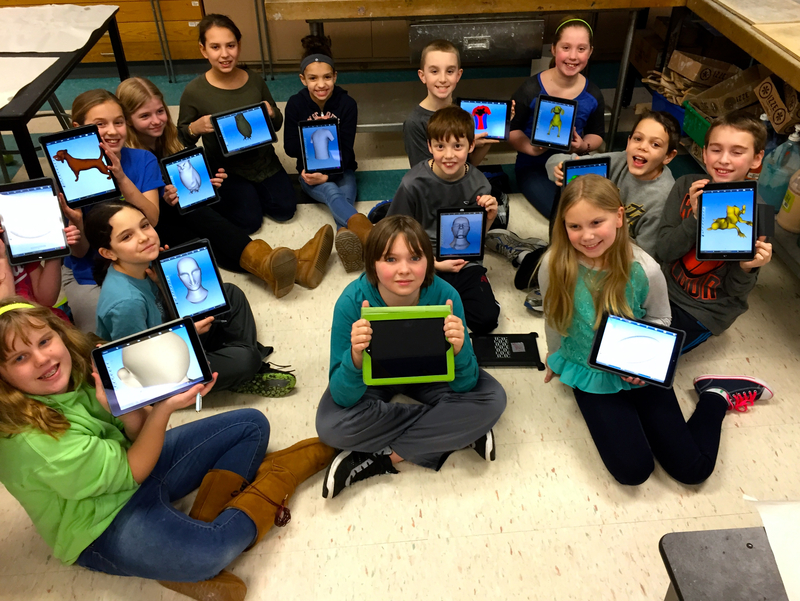 Between glazing ceramic projects and the deployment of iPads to the fifth graders, the excitement is palpable here in the art room, and that’s just me! Multiply that by 250 students to get the total picture. Clay projects that were hand-built and fired before the holiday break are being glazed and will be fired again this week. 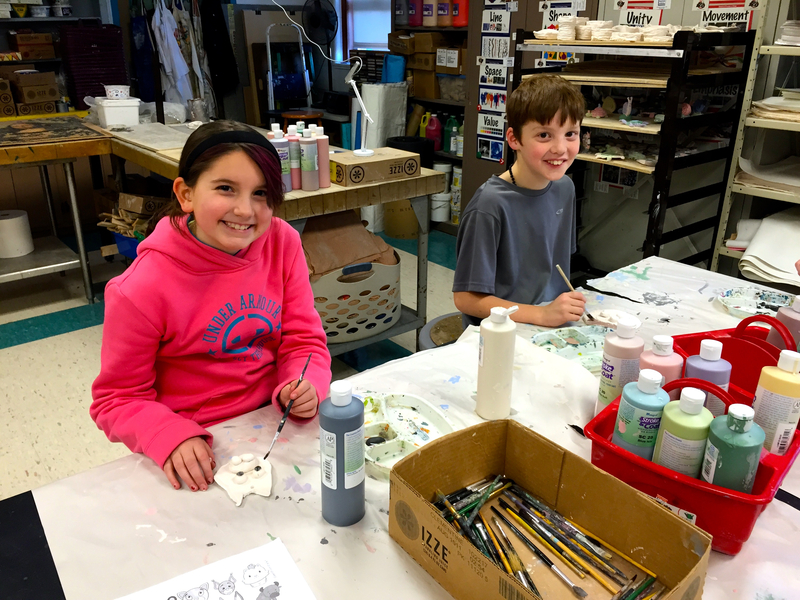 Since before the holidays I have been asked daily, “When are we painting our clay?” Over the next week, the question will change to “Is the clay ready?” All clay pieces will be ready to send home next week, some will stay behind to be included in our annual art show. iPads. What a magical word. My fifth grade students are so excited to be receiving them this week. I am beyond excited that they are being rolled out just in time to start the new term next week. I have felt like a fish out of water without them all fall. I am so glad everything is squared away and I’m looking forward to riding this wave of enthusiasm to show my classes how to create digital art, design for 3D printing, and the basics of photography. If your child has a School Loaner iPad, all the apps they need are in the self-service folder. If your child has a BYOD iPad, here is the list of apps to download. They are all free and should be placed in a folder together. I suggest naming the folder “Art Class”.